Thank goodness it’s the end of the week. Time to settle into some sweats and watch the Twins. Once again I’m behind (as I am with many things!) on using the basil leaves from our frantically growing plants–but, I have no energy tonight to make something elaborate. Our super-hyper basil plant is a Genovese variety, but you can use any type you like for this recipe. Did you know there are over a dozen varieties? Luckily, my fairy godmother, The Barefoot Contessa, has a ridiculously quick and easy “recipe” (if you can even call it that) for oven-roasted basil leaves that makes for a heavenly end-of-the-week treat. 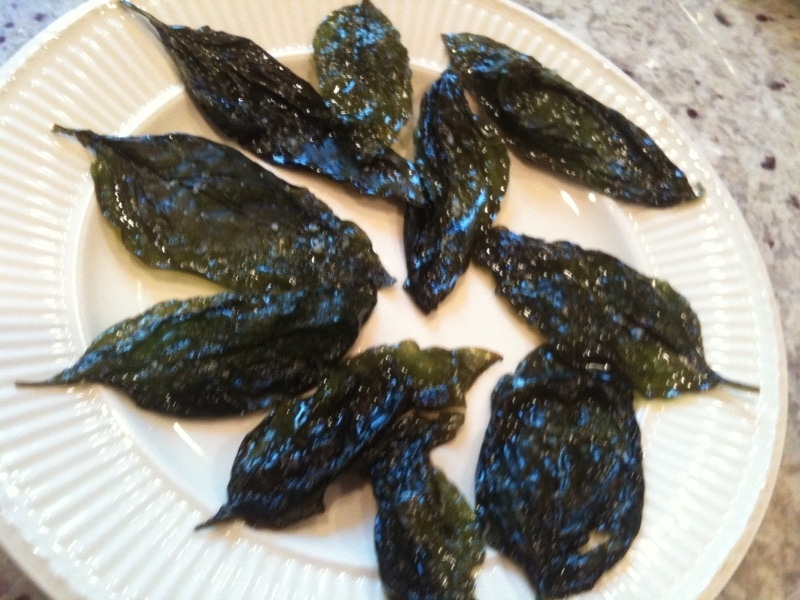 If you’ve never tried these before, it may sound strange to roast something that’s literally thin as a leaf. 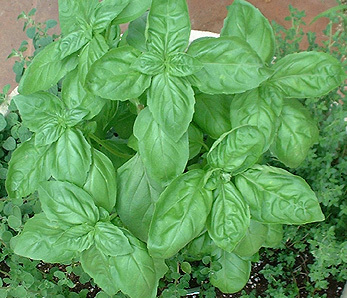 But trust me–the basil not only stands up well in the heat, its flavor is intensified even more. Imagine the most amazing potato chip–deliciously salty and so crispy it has a lightness to it. Now, imagine that potato chip, but with the big flavor of fresh, sweet basil. Wash and dry your basil leaves. Make sure they’re really dry so they crisp instead of wilt in the oven. Line a baking sheet with aluminum foil. 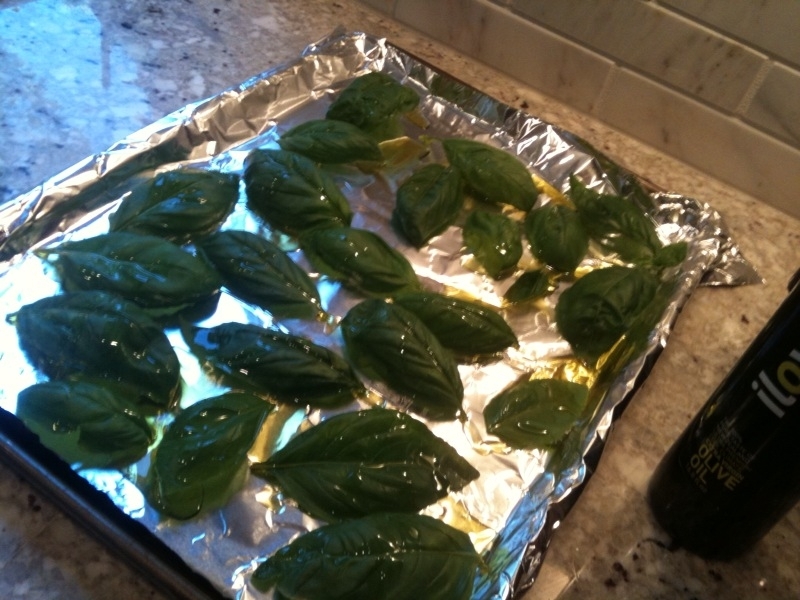 Arrange the basil leaves on the sheet and sprinkle with olive oil and sea salt. Toss the leaves with your hands to make sure they’re well-covered with oil and salt. Place the baking sheet in the oven and roast for 5-10 minutes (until leaves turn dark green and become crispy). 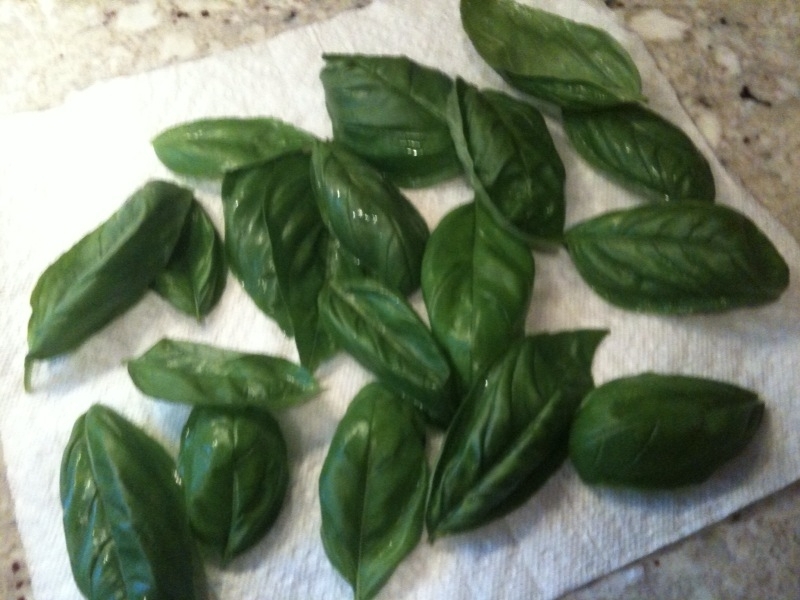 Gently blot/drain basil leaves with paper towel. Emphasis on gentle–when they’re nice and crispy they can crumble easily. 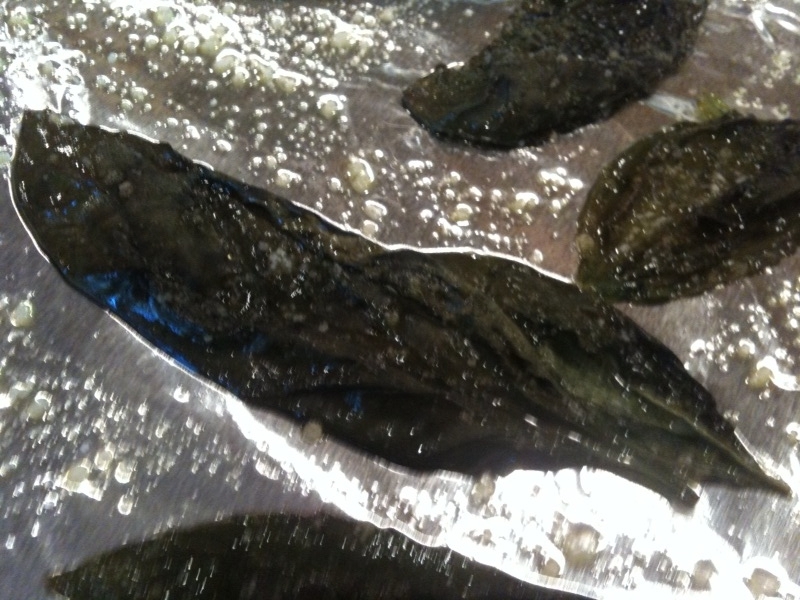 I like putting an entire leaf into my mouth and eating it in one bite--salty, sweet, and so crispy!